Be there Mumbai! Let Yoga be optimized. 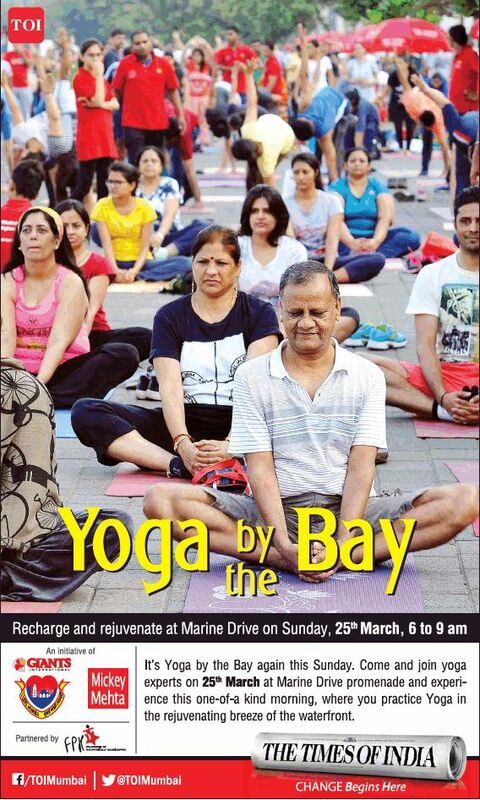 Its Yoga By The Bay again This Sunday. Come ad join yoga experts on 25th march at marine Drive Promenade and experience this one- of- a kind morining, where yoy practice yoga in the rejuvenating breeze waterfront.